This ride is also known as the "Clawhammer." 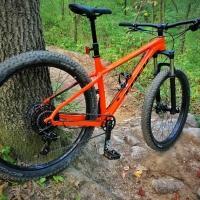 It's an amazing ride, especially if you like technical singletrack. It's a tough (mostly gravel road) climb for over 7 miles, the last 1.5 of which is mostly pushing (unless you've got crazy technical skills). But it is worth it for the amazing cliff-top view from Clawhammer mountain, AND for the awesome 1900 vertical-foot downhill. The downhill is very rocky and rooty with plenty of waterbars. Very fun and worth the climb! Park at the ranger station. Turn right onto the main road (US 276). Mile 6.8 5-way trail junction. Turn hard right onto Black Mountain Trail. 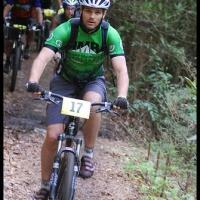 during this part of the ride (Clawhammer and Black Mountain). After the second summit, the fun downhill finally starts! Mile 11.0 Thrift Cove Trail enters from left. Stay on Black Mountain Trail. Mile 12.1 Mountains to Sea exits left. Stay right on Black Mountain Trail. Mile 12.2 Thrift Cove Trail enters from left again. Stay Right. Mile 12.8 Turn right and finish at Ranger station. Review: This is one of my all time favorite trails. We usually start this ride from the nearby Davidson River Campground (great place to camp), After crossing the highway, you have a LONG climb up Clawhammer which is a wide gravel fireroad, but it is steep in some sections and will take you awhile to reach the top (from the campground to the top is probably about 7-8 miles and takes ~ 45 minutes depending on skill level). 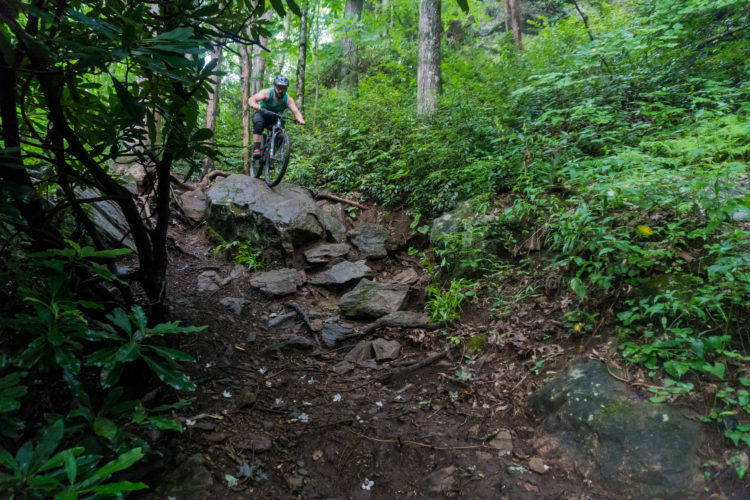 After getting to the top, you now get to enjoy pushing your bike up the singletrack section of Black Mtn. for a mile or two. Maybe some can ride this section, but it is beyond my skill level. After the hike-a-bike section, you are rewarded for all that time climbing with some great technical downhill. The downhill sections are great because there is a little something for everyone. The first time on it, I walked some of the tougher sections, but that just gave me more motivation to return and try and clear it. Overall, this trail is definitely expert to intermediate level as the downhill section is fast and technical. 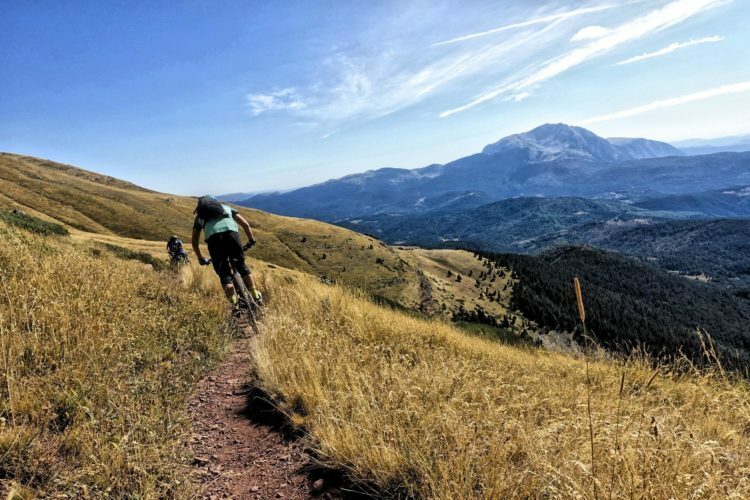 Review: Rode bottom section via Thrift Cove climb. 2 mile climb, 1st mile very difficult, some walking, but totally worth the reward connecting to Black Mt. So, fast, flowy and steep. Awesome downhill. This is a quick, 45 min loop. Add on Grassy Rd. and Sycamore Cove to extend ride. Review: Another one of Pisgah's finest, though not for the faint of heart. Long fire road climb with a short hike-a-bike at the top followed by pretty technical and fast descent. Turn left at the bottom of the first long downhill section (forget the name of it) for some additional fast, jumpy downhill. Review: Very fun trail to ride, but I'm always surprised by what riders from different regions consider to be technical. This trail is no breeze by any means. But to potentially rate as one of the top 10 most technical trails? I know of 10 more technical trails within 60 minutes of my home. Review: A hidden gem in the area. 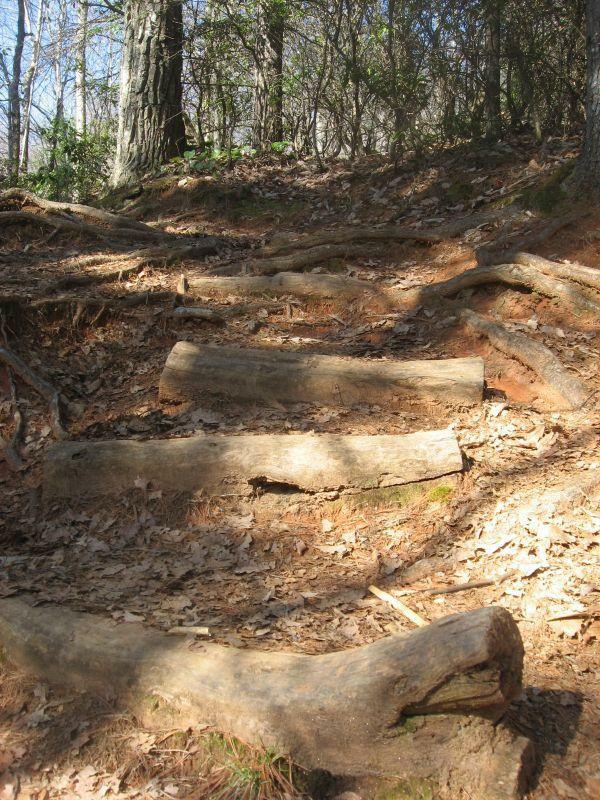 Can run up to 13 miles on the trails if you hit all of the trails.  It is great training for other difficult courses. Beautiful scenery. Find the hidden gems buried in the park. Be respectful, leave no trash behind as you won't find any out there now. 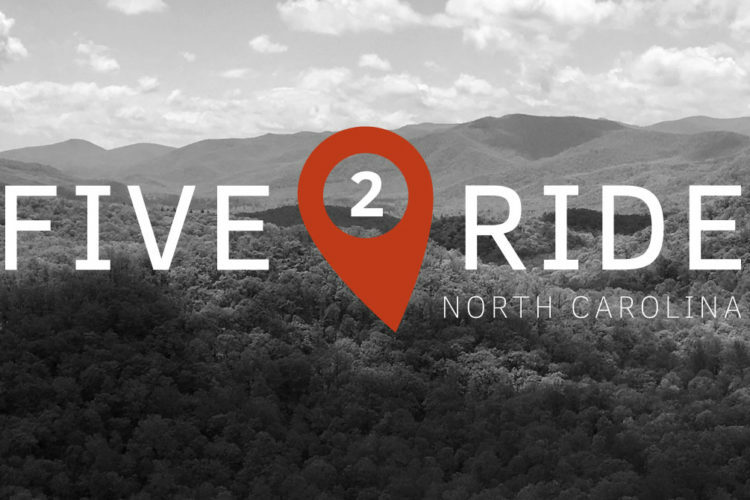 I have been riding the Pisgah area since 1995. 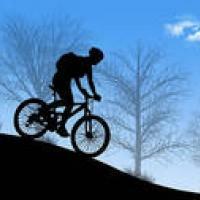 This is the best MTB riding in the southeastern United states. This trail area has a little bit of everything. 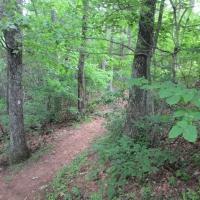 However, most of the Pisgah trails are intermediate to expert. If you are looking for what MTBing was like in the good ol' days before banked corners, smooth trails and man made jumps this is your place. Yea, you will definitely find spots that are hike-a bike but the majority of the trails here are ridable. Laurel MTN, Black MTN, Avery Creek, Clawhammer Road, Bennetts Gap, Sycamore Cove, Buckhorn Gap, Cove Creek are all worth the time and the effort. Now, if you are looking for a MTB park experience this is NOT that kind of place. This is how MTBing use to be. I love this place. Review: I've only ridden the lower portion of Black Mountain but it's a blast! Fast and flowy in spots but also some good rocks and roots to show off those tech skills. 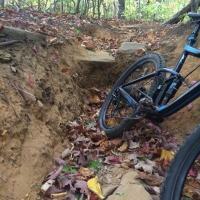 Recent trail work has made some of the tricky parts less tricky. Are extremely. We had to walk down significantly since the drops were way too dangerous. If you are not a DH expert: avoid this trail. Its great for tought hike though. Review: Very hard climb that took me forever but the downhill back was unreal! Loved every second of the punishment and the reward!!! Black Mountain MTB Trail 4.39 out of 5 based on 29 ratings. 29 user reviews.